Fundamental Analysis of Stocks: What is It and How is It Done? You often hear news about Warren Buffett and stock analyses based on a fundamentalist’s perspective. But what really is it? How do stock market advisers determine which stocks to buy and sell? Whether you are preparing yourself to be an investor, a stock analyst, or someone who merely wants to understand how fundamental analysis works, this article provides you with the basic information that you need to know. Fundamental analysis is a method of analyzing a stock or any type of security by measuring its intrinsic value. This is done by studying all the things that can influence this value such as the company’s financial and management condition, that of the industry, and the overall economic conditions. The key objective of doing this kind of analysis is to produce a particular value which can be compared against the current price so that an investor can figure out if he or she is going to buy or sell the security. If the value is lower than the current price, the stock is said to be overpriced and an investor can decide to sell. On the other hand, if the value is more than what is currently reflected in the current price, the stock is labeled as undervalued which is a basis for buying because the investor aims to capture that gap as gains once the market realizes this and adjusts upward. In analyzing stocks, fundamental analysts work with the company’s earnings, revenues, profit margins, and future growth, among others. In other words, the financial statement of the company is the point of interest. 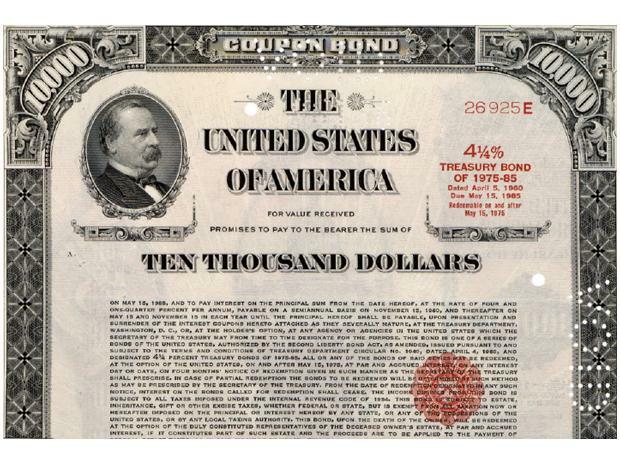 If the investor is interested in bonds, the analysis is conducted by studying the interest rates, information concerning the bond issuer, possible adjustments in credit ratings, and the overall condition of the economy. Perhaps one of history’s most successful fundamental analysts is Warren Buffett who is tagged at the Oracle of Omaha for turning himself into a billionaire because of his investment strategies. Fundamental analysis is about spending time going through numbers in a company’s balance sheet, cash flow statement, and income statement, and the way they fit altogether. But beyond number crunching, fundamental analysis also gives great importance to the intangible aspects like quality of management and market share. Also, having a comprehensive insight about the direction of the market and industry trends would provide a more complete picture. To sum up, a company’s fundamentals is grouped into two broad aspects – the qualitative and the quantitative. Many analysts take into account both aspects when making decisions. Quantitative fundamentals are measurable, numeric characteristics about a business operation. These are obtained from the financial statements of the company. These statements show profits, revenues, cash, and other assets, to name a few. The three types of financial statements you should look at are the balance sheet, cash flow statement, and income statement. The balance sheet shows if the company has the ability to balance what it owns with what it owes from various entities. Meanwhile, the income statement presents the amount of money that the company had produced and spent over a period of time. You can see from this statement whether the company is losing or earning money. You should also be interested to see whether or not the company has enough cash in its pocket to buy whatever it needs to improve or expand its business. You should see this if you go over the cash flow statement. Once you are done with quantitative analysis, you should be able to tell whether the company is making money or not. How well the company profits from every dollar of revenue it is making? Is the revenue growing? Even if a company is making profits, a good indication of a company moving forward is a positive growth in revenues. A healthy company should also be able to pay off its debt. Apart from deciphering the complex numbers in the financial statements, you need to analyze the intangible aspects of the business. Do you know what the business model is for this company? Do you understand the core operations? One of the things that can be learned from Mr. Buffett is that he does not usually invest in technology stocks because he doesn’t know how they operate which is understandable. An investor should first clearly understand what he or she is going into. Another important aspect to look at is competitive advantage because it is the catalyst that drives the long term success of a business. Michael Porter of the Harvard Business School argued that a sustainable competitive edge is obtained by having a unique competitive situation, undertaking activities that are customized to the company’s approach, making clear choices and transactions in comparison with competitors, having a high degree of fit across operations or activities, and ensuring that these operations are greatly effective. Perhaps one of the most important qualitative aspects that one should not miss is the quality of management. To go deep into this however, you need to be a huge investor so you can get a chance to meet the leaders and have a better understanding of how they are running the business. But ordinary investors or analysts can still get the basic information by going over the website and conducting research about them on the Internet. Take careful note about key performances and huge decisions and how these have impacted the business. In addition to these you need to study about the overall growth of the industry, market share among companies, and the customer base. Is the industry growing? If so, companies that have a larger market share should be the best candidates. Also, it pays to keep an eye on the business cycle. All these things factor in the financial health of a company. Fundamental analysis is said to be the cornerstone or foundation of investing. The goal of every fundamental or value investor is to seek for stocks that have solid fundamentals. But a company’s so-called fundamentals is so encompassing. That is why, even among fundamental analysts, the strategies vary. While no single method is superior, as long as you can back up your analysis with solid numbers and have complemented it with the current trends and condition of the industry and economy, you should do just fine.